Nishant is a second year doctoral student in the Epidemiology concentration working with Dr. Caroline Buckee. 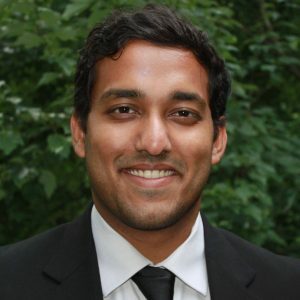 Nishant is interested in developing and implementing epidemiological tools that leverage high-throughput and “big” data for the evaluation of and intervention for infectious disease transmission dynamics in an increasingly urbanized and connected world. He is the CEO and Co-Founder of EpiTech Consultants, a public health technology consulting firm that specializes in the development of analytic pipelines for complex public health problems. In his free time, Nishant enjoys rowing and riding is single-speed Langster.